Within the construction and technical industry, Autodesk Revit has become a ‘new standard’ for designing according to the BIM working method. The reason for this is that working with Revit offers advantages over other working methods. Thanks to the 3D BIM model, a drawing can be built up virtually, making it easier to predict the outcome of a construction project, reducing risks and failure costs. 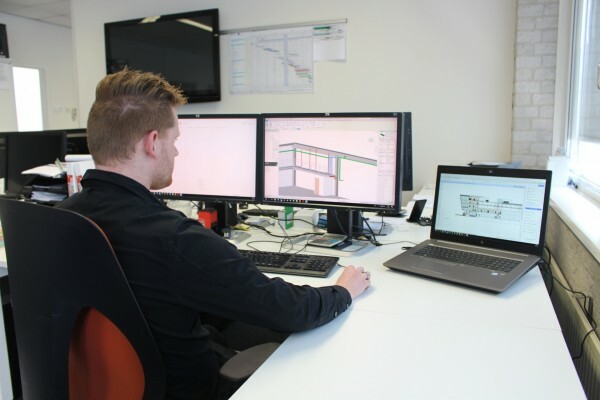 Lars, Work Planner and Technical Draftsman at DAEL Data & Electro, is one of the colleagues who has mastered the drawing within Revit software. He has been appointed to further introduce Revit to the departments. Lars: “Revit allows us to make three-dimensional, intelligent BIM models and generate detailed technical drawings from them. Because the courses I took were very practical, I was able to use my newly acquired knowledge directly in my daily work." In the coming period, DAEL Data & Electro will make an effort to fully master technical drawing in Revit. Direct advantages of this application is not only a better way of communicating with our clients, but also the possibility to virtually view a project. As a result, a clear insight into possible clashes can be obtained, which ultimately helps to better meet the client's expectations. Do you have questions or comments regarding this message? Please feel free to contact iris.stolk@dael.com for more information.